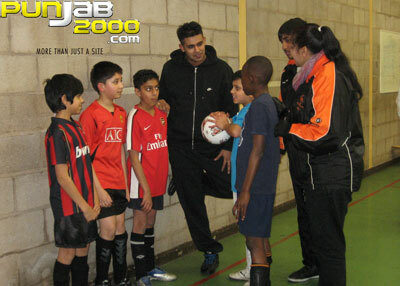 The BCFA have joined forces with Europe’s leading independent communications retailer TalkTalk, leading manufacturer and supplier of football equipment Mark Harrod, Internationally successful Asian music production company RishiRich and Sports Animation software specialists GamePlanner to host a subsidised FA Level 1 Coaching Course in line with Kick It Out’s, One Game One Community week of action. 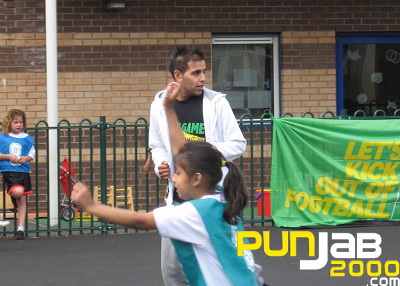 Award winning international Bhangra singer, H Dhami undertook a coaching session with students from Ryder Green Primary School to kick start the One Game One Game Community initiative in Birmingham in line with the national Kick It Out annual week of action which will take place in October. Leading South Asian entertainment website www.bollywood.tv breaks the one million hits mark! www.bollywood.tv – the largest online library of popular Bollywood and South Asian entertainment anytime, anyplace, anywhere – has reached the one million hit mark, making it one of the most rapidly growing online destinations and the first port of call when it comes to the most extensive search for South Asian entertainment. This milestone in the website’s expansion is the result of an exciting re-launch of www.bollywood.tv which reflects a new brand image, a new team and a pioneering new vision. Bollywood beckons after Lee goes from the Ashes to Asha triumph. A heartfelt appeal for cultural tolerance in our troubled world? Or a pile of tosh? Whatever, these are some of the lyrics that have helped a song by Brett Lee — hitherto known as an Australia fast bowler rather than another Bob Dylan — to reach No 4 in India’s music charts in its first week of release. The song is called You’re The One For Me and is performed by Lee as a duet with Asha Bhosle, the prolific and durable star of sub-continental entertainment immortalised by Cornershop in the United Kingdom No 1 hit Brimful of Asha ten years ago. Lee and Bhosle also appear together in the accompanying video, which is fast becoming a hit on the YouTube website. Lee wrote the words in 30 minutes between matches at the ICC Champions Trophy last year, recording the track at a studio in Mohali and then hiring a hotel room in Bombay for the filming. He plays guitar and sings — as he promises — in both English and Hindi. If the timescale suggests a low-budget production then the fusion in style of East and West has produced an interesting sound. And Lee cannot stand accused of being too serious. This is a happy piece and, in the best Bollywood tradition, his pleas do indeed win over the girl. Lee is a keen musician who always takes his guitar on tour and used to play in a rock group called Six And Out with fellow members of the New South Wales side, including his brother, Shane. He has also played — though not recorded — with Andrew Flintoff, who is an enthusiastic karaoke singer and sang Rocket Man with Sir Elton John at a charity event in London last year. After the Ashes were clinched by Australia in Perth last month, Lee was seen on stage in a bar popular with backpackers, strumming his guitar for a few songs, accompanied by a backing band that featured Alan Mullally, the former England seam bowler. The success of You’re The One For Me underlines Lee’s popularity with Indian audiences. He has a healthy, clean-cut image and began to learn Hindi some years ago as part of a long-term plan to tap the potential market. Before then, he may discover that his first effort appeals to the England and New Zealand teams as a vehicle for sledging during the forthcoming one-day series. Lee’s success comes soon after Mark Butcher, the former England batsman, was knocked out of the BBC singing reality show, Just the Two of Us. But is Lee as good at ballroom dancing as Mark Ramprakash? 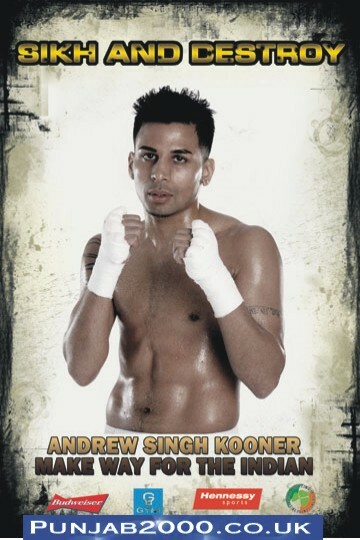 Andrew Singh Kooner is coming home. The undefeated Birmingham born fighter is set to make his British boxing debut on the undercard of the Junior Witter-DeMarcus Corley world championship fight at London’s famed Alexandra’s Palace. Already a hit in his adopted homeland of Canada, Kooner looks forward to making a mark on both sides of the Atlantic.